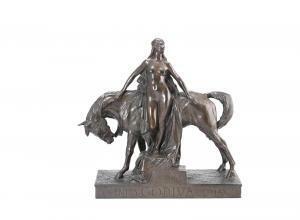 Find artworks, auction results, sale prices and pictures of Ferdinand Victor Blundstone at auctions worldwide. The sitter and by descent. 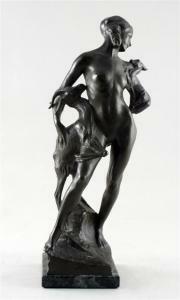 The vendor believes this bronze to be of her mother, Norah Paterson. Good condition with greenish/chocolate brown patination, no faults noted. Signed at back and no foundry stamp. 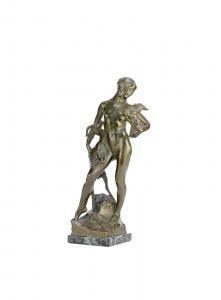 Green marble plinth in good condition. 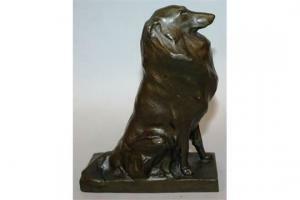 FRANK VICTOR BLUNDSTONE (1882-1951) SWISS A GOOD BRONZE OF A SEATED COLLIE on a rectangular base. Signed 7ins high.